The charnockite suites of rocks possess greater significance in addressing the processes operating at lower continental crust and, thereby, provide ample evidence to decipher the petro-tectonic evolution of the Earth’s crust. The new research findings of Ravindra Kumar and Sreejith, published in ‘Lithos’ provide a comprehensive understanding on the lower crustal processes leading to protolith diversification on the genesis of different charnockite suites of southern India. The study distinguishes three different suites of charnockites, viz., tonalitic, granitic, and augen suites based on their petrological and geochemical attributes. 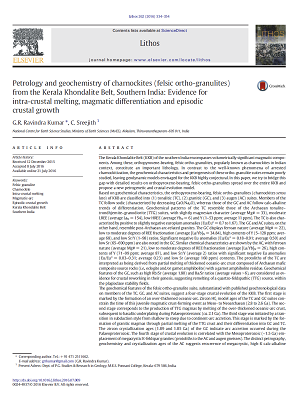 Further, the study envisages four-stage magmatic crustal evolution model for the Kerala Khondalite Belt (KKB), spanning from Meso- to Neoarchaean up to Mesoproterozoic. 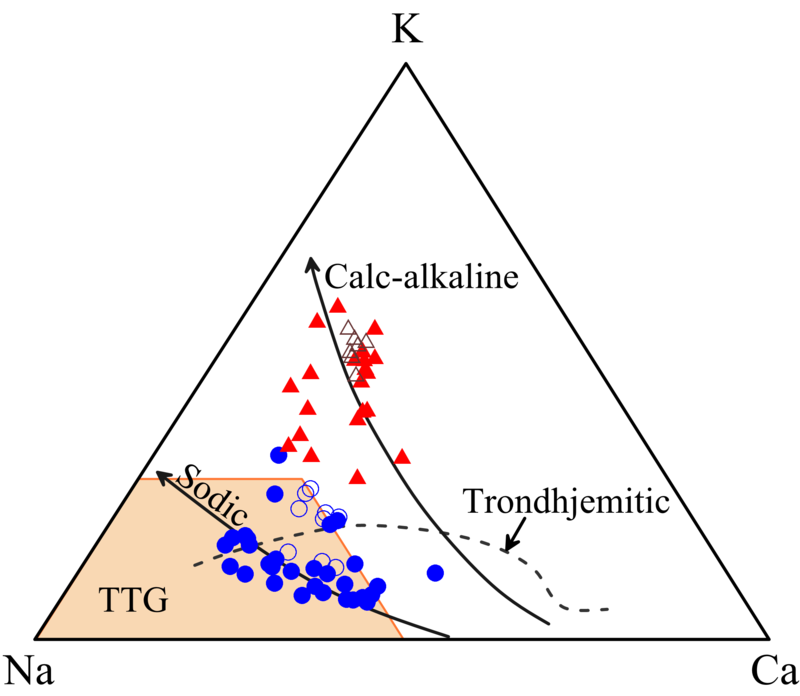 The authors propose that the onset of juvenile magmatism in the KKB was initiated by the formation of Meso- to Neoarchaean basaltic crust in an oceanic lithosphere, which underwent melting due to basaltic underplating leading to the formation of TTGs. 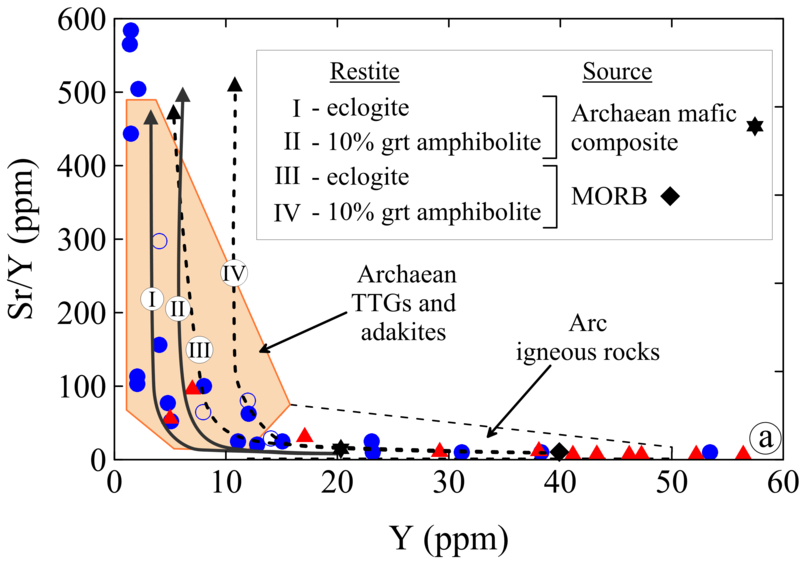 Subsequent intra-crustal melting during a stage of arc accretion initiated differentiation of the TTG crust into tonalitic and granitic magmas during Palaeoproterozoic. The fourth stage of crustal evolution is correlated with the Mesoproterozoic emplacement of megacrystic K-feldspar granites. This novel research contribution offers an insight into the long ignored aspect of origin and evolution of orthopyroxene-bearing, felsic ortho-granulites (charnockite) of KKB and their geodynamic setting. The study also establishes fairly–well correlation between the magmatic episodes of KKB and prominent crustal growth events recorded globally. The full-article can be read online at “Lithos” journal website hosted by SciVerse ScienceDirect.